"Hi Eiddwen, Thank you so much for fitting me in so quickly today and for spending so much time at such short notice. You have really put my mind at rest over my horses back. I really appreciate the time you took to explain both the tightness and the impact of the saddle so I can keep on top of things as Xilo's rehab progresses. I hope I can avoid causing any new behavior issues having learnt what to look for in his muscle development and I am sure he will love your prescribed treat streches for that all important lumbar region! You will definatley be a regular part of our rehab strategy and hopefully well into our competition career in the new year! Thanks again." 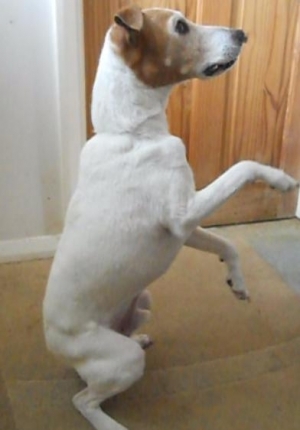 "Eiddwen has been to see Sammy twice now since my super clean 14 year old Parson dog starting messing in the house. She found he had considerable lower back problems and the treatment provided has made a dramatic difference. Not only is he a clean dog again but with suggested exercises to strengthen his back and hind quarters is a happier, stronger dog." The influence of saddle fit on horse and rider is an essential component of equine performance. To achieve harmony horse and rider must be in perfect balance, free from restriction and discomfort. All too often riders are unable to sit in the correct balanced position or find themselves tipped forwards or back by a saddle that is not correctly balanced. Likewise too many horses are restricted by a badly fitting saddle, resulting in muscle tension, pain and atrophy. 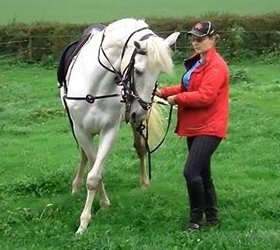 As an animal therapist Eiddwen understands the importance of an holistic approach to all aspects of the horse, this is especially important when assessing saddle fit. If the body is not correctly aligned the saddle can not sit in balance, likewise if the saddle or rider are not straight this will lead to imbalances in the horse. 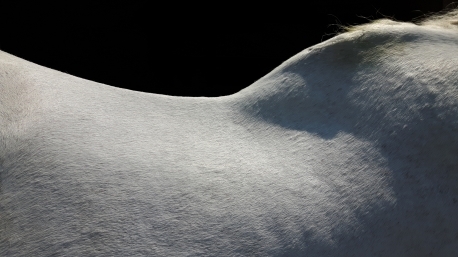 A full assessment of the horse's conformation and movement is undertaken at each saddle assessment, in addition your horse will also be checked for any musculoskeletal pain or restrictions.